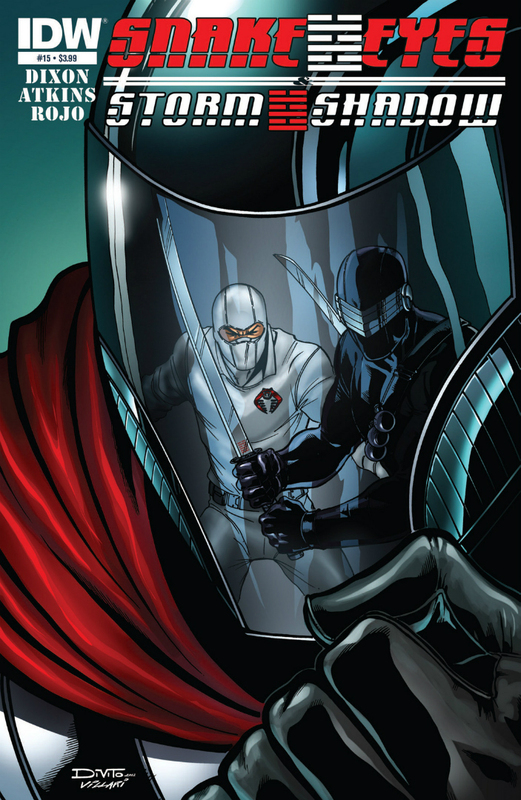 Betrayals are revealed as Storm Shadow confronts the Cobra Commander. And Zartan meets up with some important characters. It seems to me that Chuck Dixon seems to excel at setting up a story, but loses focus and momentum as the plot evolves. This issue still contains a great story, but like some of Dixon previous arcs, plot points and motivations don't seem to add up as the story progresses. Why would Snake Eyes knock out (but not kill) Rika during the initial assassination attempt? Why would he set a bomb timer for more than 5 hours? Why would Storm Shadow, who can't be bothered to kill Zartan himself but sends an army of Arashikage ninja to do the job for him, walk into Krake's stronghold with only Rika as backup? I'm hoping that these questions will be satisfactorily answered in future issues. In spite of the growing plot holes, the story is still a solid and enjoyable one. Despite Storm Shadow becoming a title character these last three issues, we've really seen little development of his character. We get glimpse of his past under the tutelage of Hard Master, but besides his insistence of the loyalty of Snake Eyes and his single-minded drive to kill Zartan, little else has been shown about this character. My belief (or at least my hope) is that Storm Shadow is himself playing a game of deceit; otherwise his actions in this arc don't make much sense (e.g. his sudden confrontation with Krake, or why he is not personally attempting to kill Zartan himself). Much of the flashbacks focus on Storm Shadow, so it seems likely that Dixon still has big developments planned for the character. The highlight of the issue was Robert Atkin's reinterpretation of the Dreadnoks. Atkins is a true fan of the vintage figures, and has said that he tries to base his IDW character designs off of v.1 figures. There are few looks that are as dated as the Dreadnoks, but Atkins managed a design that is both an obvious homage to the classic design but entirely up-to-date as well. Well done. The obvious visual similarities between Storm Shadow in the center of the targeting lasers and the spider and fly on the web the next page was a nice touch. So is Storm Shadow the fly, or is he the spider? The plot is growing a little weaker this issue, but the momentum of the story remains strong and the art continues to be amazing. Recommended.